Battlefield 5 may have been one of the least mysterious games in EA's E3 2018 lineup. It already had its own dedicated announcement event, and DICE has been slowly teasing details like new modes out ever since. 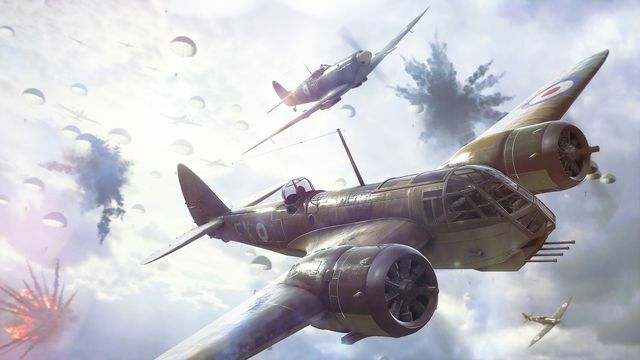 That didn't stop EA from making it a major part of its EA Play showcase, including the confirmation of a battle royale mode. The incredible success of Fortnite and PlayerUnknown's Battlegrounds has made battle royale into a phenomenon that numerous other companies are looking to capitalize on. Call of Duty: Black Ops 4 has already been confirmed to get such a mode, and now Battlefield 5 will as well. During EA Play, developers confirmed it will offer teamplay, vehicles, and destruction for an experience they claim you haven't gotten before in Battlefield or any other game. Unfortunately, they didn't elaborate any further on what this mode will consist of, including whether it will feature the 100-player count that's often used in these modes. More details will be shared sometime later this year. This comes on the heels of EA announcing it was ditching the premium pass model for this latest Battlefield, in favor of cosmetic upgrades and free maps. Battlefield 5 will be available for all players on October 19, but those who subscribe to EA/Origin Access and pre-order will be able to play early on October 11. Pre-ordering the Deluxe Edition will get you in a few days later, on October 16. An open beta is also planned.